"Yes, that Kickstarter is a while back now and why is Roman posting this update and insight so late?" 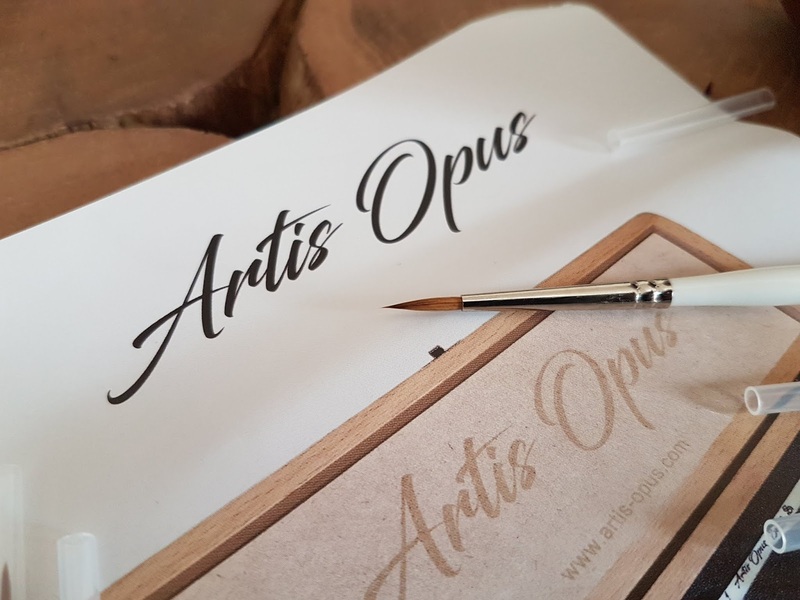 A brush can only be tested with painting time and as I am painting a little less this year it took me a little longer to understand this new brush by Artis Opus. I can say I am painting with many different brushes all the time. Windsor & Newton, BrokenToad, cheaper russian brushes, DaVinci and Raphaels, cheap make up brushes and what not. The presentation and style of the brushes is very exquisite. A beautiful product. I paint with them myself and also handed out some to my private coaching students since a couple of months now. This means I can tell if I enjoy working with them or not. A brush is a tool that always will match your painting style. My painting style is wild and bold. Therefor I need clubs instead of swords. 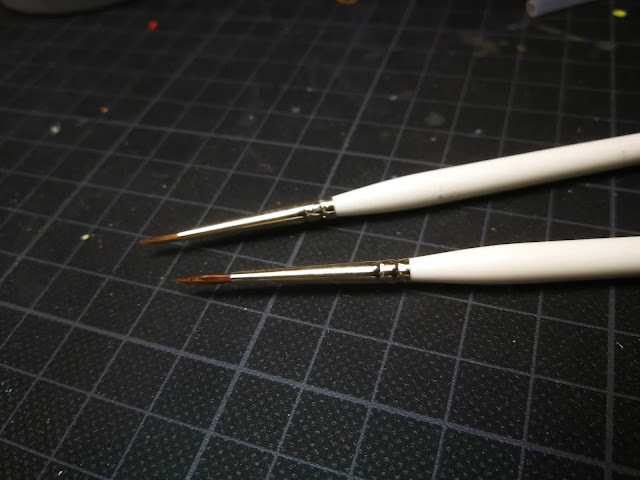 Ok, once in a while I am happy about a brush that works like swordblade and sometimes I am happy about a brush that can be used as a needle, but usually you see my slap around my paint with everything my hands can get a grip on and is called a "brush". I do like the Artis Opus's brushes. I had to get used to the thicker handle though. The color white for the brush makes it easy to spot in all the browns, blacks and natural wooden colored brushes. The hair quality is stiff and can be used for precise paintwork. Detailwork. Even after several months painting with them the stiffness is still present. Good tips, that can last longer if you take care of them with the provided brush soap. Now did they change my painting game? Good and high quality equipment is always better to work with, instead on supercheap brushes. 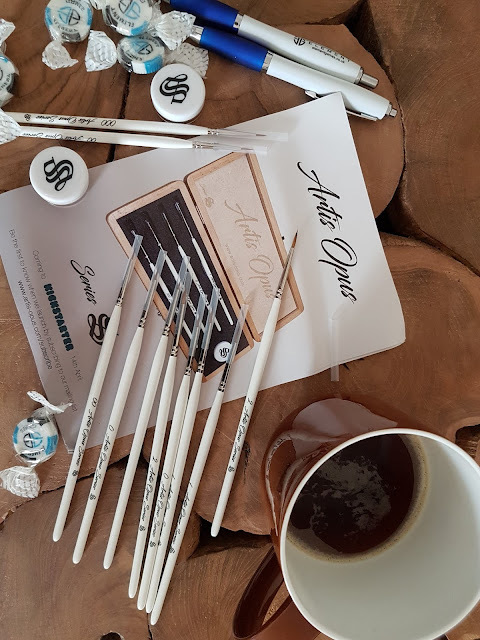 If you not yet invested in good brushes for your painting, then Artist Opus brushes are defenately an option. They are good. And can serve you well if they match to your painting style. Your personal painting style has to find brushes that you like. That is why I, for example do paint with so many different brushes to be able to pick the one I need for certain work. I'd say there is no "one brush" that is best. Your painting experience and your painter instinct can only tell you what is best for your toolbox. Try different things and decide what you like and enjoy for your personal style. I can absolutely recommend these brushes if you want to step up your game by using higher quality tools. I can not tell if they are the best brushes for everyone. I do like to work with them for fine detail work, but my toolbox has tons of other brushes in it. I am happy to have the Artis Opus' brushes in my toolbox from now on.